The Westminster youth mission annually joins in this home repair ministry in the southeastern United States. 21 youth and 11 adults took part in the 2018 trip, for which the church raised and contributed $22,570. Get involved: All high school-aged youth are invited to participate, and adults are encouraged to join them as leaders during this meaningful, intense, week-long work trip. WPC was one of the founding congregations of Contact Ministries, whose mission is “to daily serve the greater Springfield community by providing food, shelter, clothing, financial assistance referrals, and life skills education and training through Christ’s love & compassion,” with a broad array of services, including shelter for homeless women and children. WPC has two Board members, is providing $11,000 in 2018, and takes part in many individual projects as described elsewhere. The PW Elizabeth Circle volunteers at their housing center. Habitat for Humanity builds homes in communities here and worldwide to help people achieve stable, sustainable home ownership. Here in Springfield, the group also assists by constructing affordable wheelchair ramps. Besides providing volunteers for projects, Westminster joined with area women in funding a new “1000 Women Strong” home-building project, committing $2,500. Get involved: Watch for info about taking part in ramp construction and homebuilding. 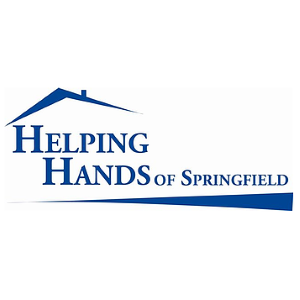 Helping Hands assists people with shelter and financial management assistance. WPC is providing $4,000 in 2018, and members provide the shelter dinner monthly. Get involved: Monthly volunteers are needed to prepare and deliver dinner. WPC sponsored a bike ride across Iowa to raise funds for this Haitian orphanage, giving $500 from the Mission Endowment fund. The James Project places foster children, trains & educates parents to prepare them for fostering, and provides supplies for newly placed children in the county. They also own houses which they provide with their support to committed families taking on challenging foster situations. WPC gave $2,500 in 2018 to expand their operations.